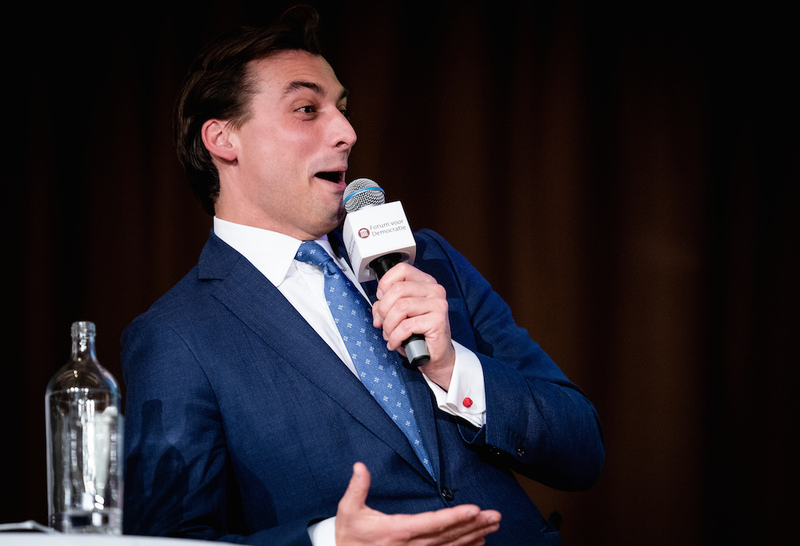 As the new kid on the political block in the Netherlands, Thierry Baudet has brought his own, distinctive rhetorical style with him. Here are some of the things he has said in public or to the media – with an explanation of what they mean where necessary. The word ‘boreal’ (northern) is also beloved of far-right politicians including Jean-Marie Le Pen as a veiled term for Aryan or white supremacy. Minerva is the goddess of wisdom and the owl imagery was used by German philosopher Hegel in 1821 to say that man only recognises the ills of the world when darkness falls and it is too late to remedy them. Except of course if Baudet takes the helm. ‘I knew from the start that I would be the only person capable of changing politics. I don’t see any other talented people in the Netherlands.’ (NRC, November 24, 2018).